This is to announce the soon to be released second book about the 352nd Fighter Group of the ‘Mighty Eighth’ Air Force. 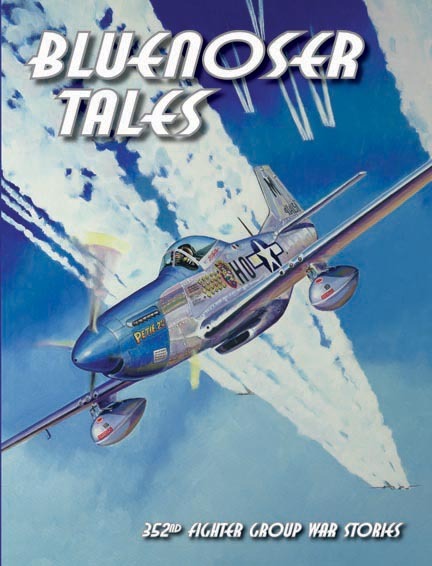 “Bluenoser Tales,” is an exciting action-filled collection of wartime stories by and about the pilots and airmen of one of the most highly decorated fighter groups of World War II. It was written in the skies over Europe when this famous group, known to the Luftwaffe as the “Bluenosed Bastards of Bodney,” destroyed 776 enemy aircraft, 554 in aerial combat, had 29 ‘aces’ including Major George E. Preddy, the top Mustang ace of WWII and leading ace in Europe when he was KIA by friendly fire, had four ‘aces in a day’ and destroyed 11 German Me-262 jets. This book is a tribute to their valor and their skill written in their own words. It is a book that will spend more time in your hands than on your bookshelf. Ø An 8 x 10 hardcover edition of 384 pages printed on glossy stock. Ø More than 80 colorful, exciting war stories. 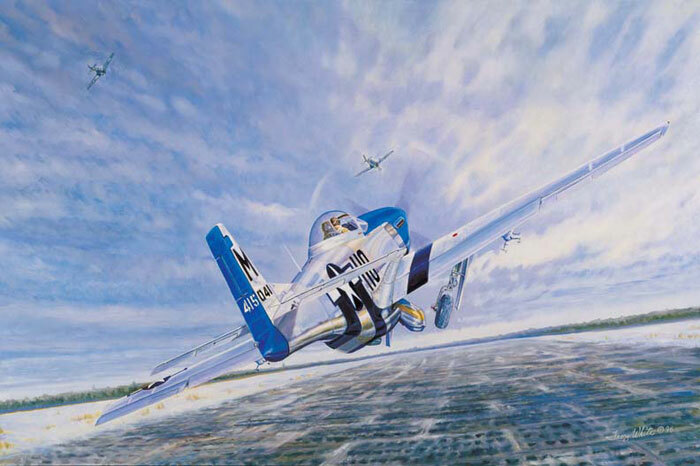 Ø Eleven action paintings in color by six renowned aviation artists. Ø Meticulously researched and documented. Visa/Mastercard and American Express accepted by United Writers Press.